Roberto Orci… is not exactly my favorite scriptwriter. 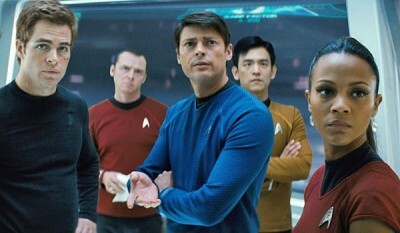 But his skills as a director are yet untested, and he’ll have plenty to test them on with the third Star Trek film. Perhaps he’ll do well! Taking over from JJ Abrams, Orci has promised some things for the next film that sound good to me: the crew will venture into deep space, and discover new alien races. Speaking of using old races or creating new ones, he said, “because this is an alternative universe I think we can choose. I don’t feel the pressure to revisit anyone or not. We are lucky that way, but we have the ability to cherry pick what has become before. It will depend on what serves the story best.” Hopefully any new species will be unique enough to propel the film!